Come, sit here a while, and allow me to introduce you to my great-great-grandmother, Clementine. She was born into a Quaker family in 1830, then led a somewhat unconventional life for a woman of that era. Clementine's marriage to an actor didn’t last, and Clementine found herself needing to provide for herself and her young son Robert. 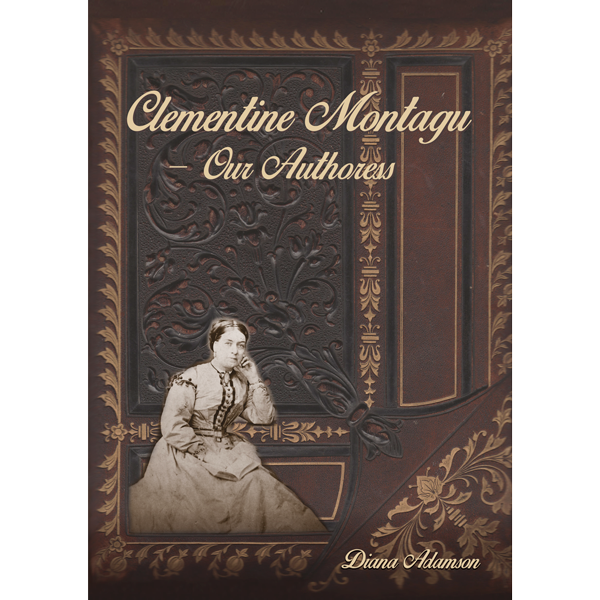 By the early 1870s she had forged a career as the popular authoress Clementine Montagu. Her serialised stories were published in numerous newspapers across Britain and many other countries in the English-speaking world. Clementine rode the crest of the wave that was introducing the general population to literacy, and a wider outlook than their lives had held before. This is the story of the woman behind that nom de plume, and her family. Drawing on oral family history, and backed by extensive research, this story follows Clementine from her early life at a Quaker boarding school, through her marriage to an actor, separation from him and the death of her young daughter, to forging a living for herself and her son Robert. Following her second marriage, Robert was sent to sea by his step-father. Having survived a ship-wreck, and several attempts to jump ship, he began a new life in Murrurundi, NSW, Australia. This story unfolds Robert’s growing family, and career in the NSW Railways. The book concludes with a detailed list of titles attributed to Clementine, then reproduces two of her short stories, including what is believed to be her final writing Warned.